Have you heard about this wonderful stretch of bushland in the inner south west? Do you know much about it? 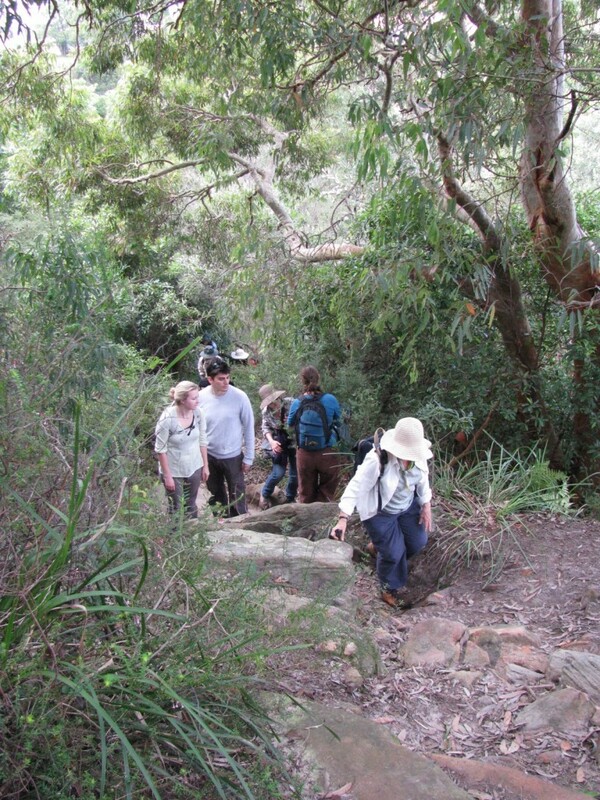 Would you like to explore a part of the Wolli Creek Valley with a guide? Join us for a relaxed Sunday morning walk and find out more. The walk will traverse part of the Two Valley Trail (TVT), which in its entirety is a 13 km walk along the Wolli Creek and Cooks River Valleys. On Sunday 12 th November, volunteers from the Wolli Creek Preservation Society will accompany you on a Wolli Creek Valley section of the TVT, from Bardwell Park to Tempe. The walk will start at 8.30am sharp, and finish around 11.30am. Registration is essential, and bookings are now being taken. The walk is free to Wolli Creek Preservation Society members (Membership is $10 pa for an individual & $15 for a family/household. By arrangement, you can join on the day, however as numbers are limited preference will be given to those who have joined ahead of the day). Details about where to meet will be provided upon registration. * The walk is readily accessible by public transport, and we encourage everyone to use it for the flexibility it allows – it is a linear, one way walk but there are railway stations close to the start and finish points. We will check and advise of any track work on the East Hills/Airport line affecting that weekend. * Your walk leaders will guide you on the walk, sharing their knowledge of the bushland, its history and the natural environment, as well as provide some information about the current issues facing the Wolli Valley, and the bush regeneration work the Society is undertaking.